Statistics point to the insurance industry as one of the most stable employment industries in today’s economy, creating a very competitive environment for insurance agents and brokers. The number of United States insurance agents, brokers, and service employees has grown 29% from 2001 – 2015 with no signs of slowing down. The insurance marketplace is crowded and successful insurance agents are shifting their focus from old-school methods (print ads, asking for referrals and networking) to these five online marketing tools for better lead generation. Top performing insurance agents are using these five marketing tools for lead generation, and you should be too. 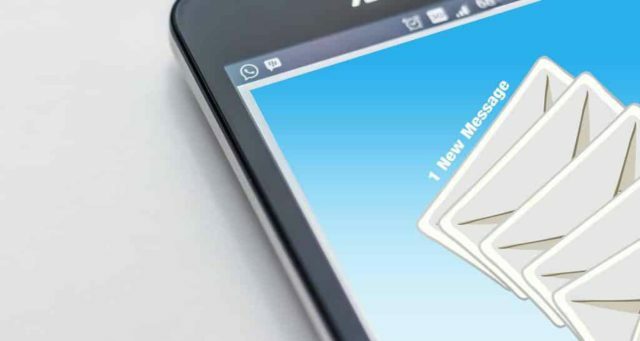 Email marketing may be one of the oldest digital marketing tools in your box, but it’s also one of the most effective insurance marketing tools available to you. Since 80% of leads do not close on the first contact, effective email marketing is a critical part of any lead generation marketing plan. If email marketing is already a part of your toolbox, it’s time for an email health check. What is your email open rate and click-through rate? Benchmark reports for the insurance industry suggest a minimum of 21% open rate with a 2% click-through rate. Are you including a call to action in every email to drive prospect interaction and communication? Are you using the best email delivery options? AWeber One month free trial, 700+ drag and drop templates, advanced reporting, Salesforce integration, split testing and mobile friendly. Constant Contact 60-day free trial, custom drag and drop templates, advanced reporting, Salesforce integration, split testing and mobile friendly. Get Response One month free trial, 500+ drag and drop templates, advanced reporting, Salesforce & HubSpot integration, split testing and mobile friendly. iContact One month free trial, custom drag and drop templates, advanced reporting, Salesforce integration, split testing and mobile friendly. MailChimp Forever free up to 2,000 subscribers, custom drag and drop templates, advanced reporting, Salesforce & HubSpot integration, split testing and mobile friendly. 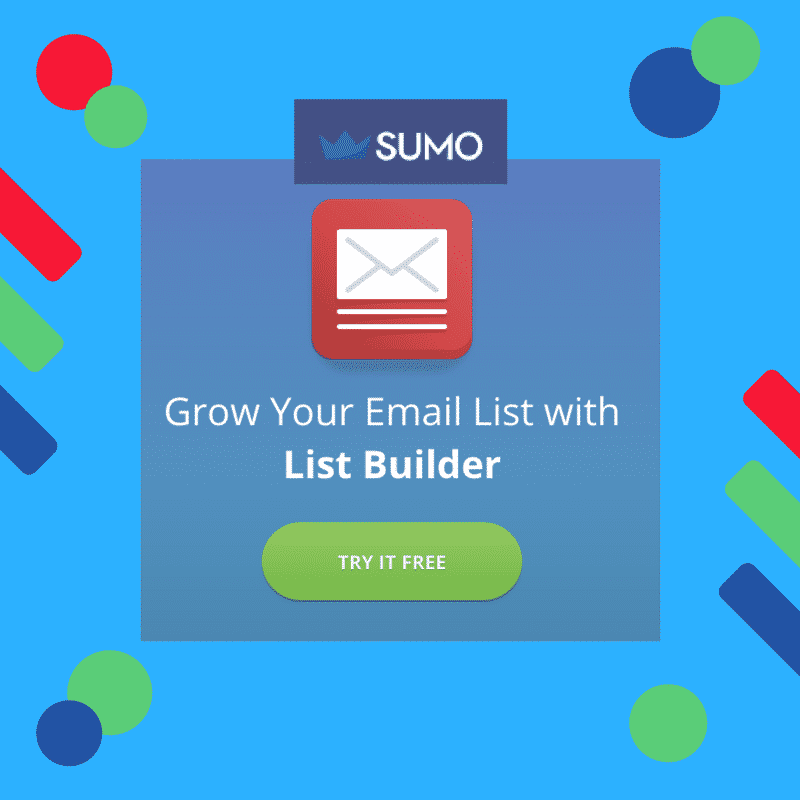 If you need a marketing tool to help grow your email list, SUMO List Builder offers a free trial and a pro service for as little as $29.00 per month. Driving leads with the right social media marketing tools will put you on the fast track to making new connections and driving prospects toward your services. Once you’ve created a social media business profile or page on the top channels (Facebook, Twitter, LinkedIn), create a social media calendar to plan out your posts for the entire month. Your target audience may not be raving about insurance coverage on social media, but they are discussing household budgets, milestone purchases (new homes and cars), retirement planning and events, and more. BuzzSumo Make a list of topics that your prospective audience will find interesting and relevant to the insurance topics and type them into the BuzzSumo Content Research bar. You’ll generate at least five – ten links on each topic. Google News Type in any topic and get the latest news and press releases to share. Talkwalker Alerts Receive an email whenever a topic or brand is mentioned online and use these posts to fill up your social media calendar. You can schedule your social media posts for an entire week, a month, or a quarter if you have enough information to share. These social media scheduling tools are user-friendly and offer free training with most subscription accounts. HootSuite – Starting at $19.00 a month with a free 30-day trial, HootSuite is an industry veteran and trusted by top brands. Buffer – Buffer for Business starts at $99.00 a month with a 14-day unlimited free trial. More than a posting tool, Buffer for Business will help you drive traffic, increase engagement, and save time planning and execute social media marketing. SproutSocial SproutSocial is an all-in-one tool for your social business. In addition to a posting tool, users have access to a social content calendar, sophisticated reports, and includes up to 10 social profiles for advanced social media users. Wouldn’t it be amazing if prospects kept seeing your ads online after they leave your website? With display ads, remarketing and retargeting, you can make it happen! What’s the difference between display ads, remarketing, and retargeting? Remarketing and Retargeting use display ads to connect with prospects and re-connect with existing customers. The terms are used interchangeably on most blogs, with industry experts like Search Engine Land providing definitions and clarifications. AdRoll Retargeting tool that displays personalized ads based on search data. AdWords Remarketing AdWords Remarketing shows your ads to people who have left your website or used your mobile app. Facebook Remarketing Do you want to reach a specific audience with display ads? Facebook custom audience advertising gives you the power to deliver branded content to people who have already visited your website. Outbrain Native advertising helps capture audience members for retargeting with relevant display ads. The results of live chat studies and surveys are in, and there is a strong case for adding a live chat option to your website. 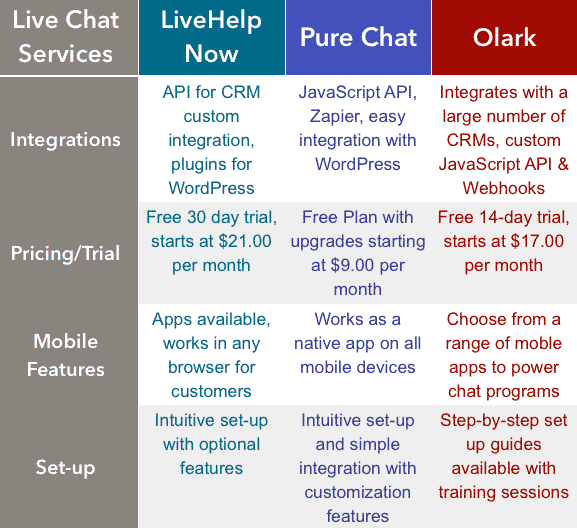 Live chat offers several benefits to business users. Not only will a live chat program give you an edge over the competition, it will also help you capture email addresses for your email marketing list. Here’s a short list of reputable Live Chat service providers with feature overviews and pricing to help you get started. Don’t forget to consider growth when selecting a plan; the number of chat agents may grow as your business grows. SEO is a long-term commitment, delivering ROI as far as six to 12 months from starting an initiative. While many insurance agents and brokers shy away from SEO, Local SEO is a worthy investment, giving you an opportunity to connect with prospects on their mobile devices. For local businesses, SEO starts with a consistent NAP (Name, Address, Phone) profile across local directory and data publications. Make sure your website has an accurate listing on high-value sites such as Yelp, YP.com, Bing and especially Google My Business. For example, if you are located in Duluth, GA, type “Gwinnett County business listings” into your search bar. Review and evaluate each website for SEO value, or use a tool like Yext to help you secure listings in each local resource directory. SEO requires research and experience with current best practices. Over the past few years, Google has implemented several algorithm changes that run as filters to eliminate “spammy” websites from the search results. If you proceed with an in-depth SEO initiative, I recommend getting started at the source by reading Google’s own webmaster blog. The availability of digital marketing tools is overwhelming, but it doesn’t have to paralyze you. Using these top five marketing tools to generate leads will help you build a solid foundation for lead generation. Once you have these five tools in place, you can identify and invest in additional insurance marketing tools and resources to take your business even further. Insurance marketing for lead generation efforts are an investment in your business. Result will take time and require consistent input and patience. If you need a quick supply of leads in the interim I recommend you check out the insurance lead company review page. Thank you for this resource Kevin. I’m going to give a few of these a try. I’ve been doing some research on email marketing services and one not on your list that looks interesting is called ActiveCampaign. Have you worked with that one? If so, do you have any thoughts you can share about it? Thanks again! I have done a bit of work with ActiveCampaign. They make heavy use of email segmentation via tagging and are really pushing hard into funnel automation. Pretty neat stuff. I found their interface has a steeper learning curve than some of the other options and that the price point escalates quickly as the audience grows. They are absolutely a solid option with good deliverability.